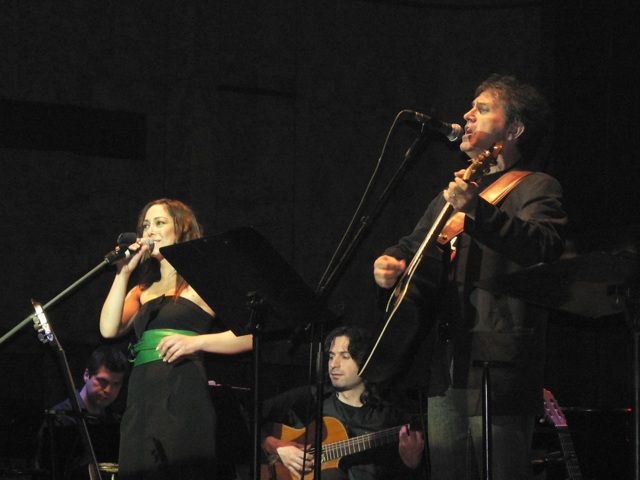 From the European Tour of G.Dalaras 2007, Vassilis in the middle. In Heineken Hall of Amsterdam, Vassilis third from the left. In Palladium of London, Vassilis third from the left. Gold award for the album “Grigora i ora perase” N.Xydakis, E.Arvanitaki, Vassilis second from the right. Concert dedicated to O.Elytis in Erodus Atticus Theater.Vassilis in the middle of the upper part of the stage. Manolis Lidakis, Marios Fragoulis and Vassilis in Erodus Atticus Theater. Camerata Orchestra, N.Xydakis, E.Arvanitaki, O.Lazaridou, A.Papadopoulou, L.Fotopoulou in the Ancient Little Theatre of Epidaurus. In Athens Music Hall with Manolis Lidakis, Vassilis first from the left. In Athens Music Hall with Manolis Lidakis, Vassilis second from the left. X.Tsiamoulis, S.Papazoglou and the orchestra in Vlastes’s Festival. Vassilis third from the right.